Silverybield Foss is a walking simulator that loosely recreates the Carlin Gills and the Howgill Fells in a retro 8-bit fashion. 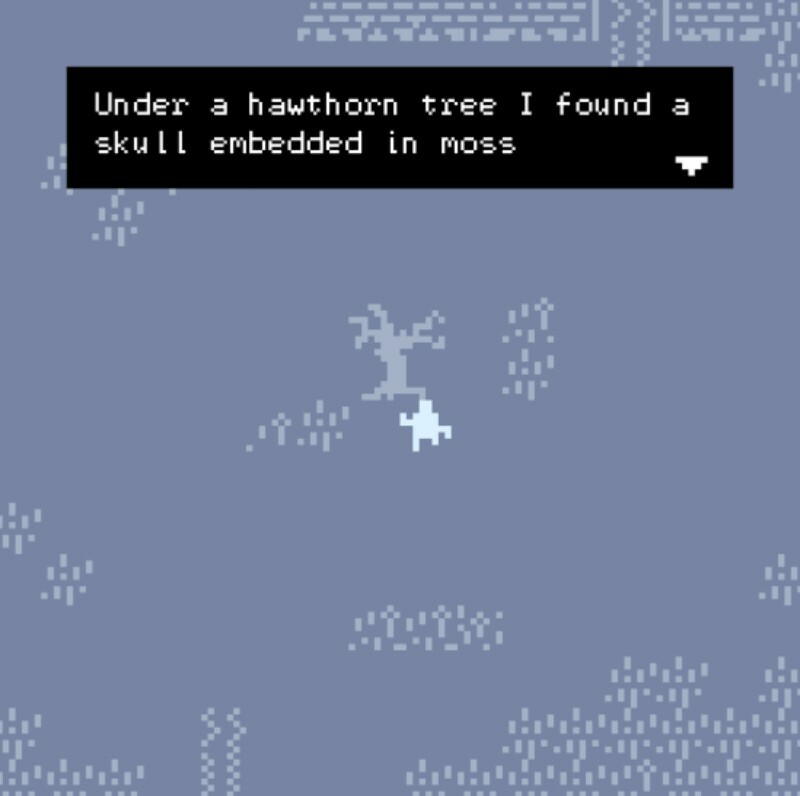 As you walk around the pixelated field, lines of text will pop-up on the screen to provide additional information about your surroundings. There are no major obstacles or enemies to defeat in this game. You just have to take a short walk and pick up some items along the way. The ending is also open to interpretation. Play the game here and see if you can find some Easter eggs.